A man named Luke Tipple, marine biologist most recognizably known for his work on the Discovery Channel, attached a laser beam to a shark. It was temporary. The laser was the lowest powered model produced by Wicked Lasers, which promoted the feat. The lemon shark was unharmed. There was even a bit of scientific value, Tipple experimented with a new kind of clap that could be used in future tracking research. Awesome right? Not so much, for some critics who found the stunt disrespectful to the animal. “Is there a point of it? It has to have an objective,” Neil Hammerschlag, an assistant professor with the Rosenstiel School of Marine and Atmospheric Science, told Wired. This is why we can’t have anything nice. Like sharks. With frickin laser beams. On their head. 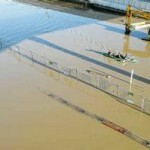 This is a water hazard I can get behind. Along the west coast of Florida, fisherman have been swapping stories for years about a monster hammerhead shark that goes by the name of “Old Hitler”. 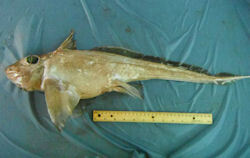 He is said to be between 20 and 25 feet long and lurks in the waters of the Gulf of Mexico between the Boca Grande Pass and the Sunshine Skyway Bridge near the entrance to Tampa Bay. However, there are reports of Old Hitler showing up from Homosassa to the Florida Keys. Running into Old Hitler is likely to end with cracked hulls, mangled propellers, and the loss of the 200 lb game fish you had on your line. 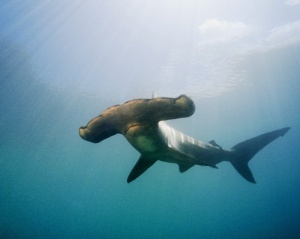 A standard great hammerhead shark (Sphyrna mokarran) can grow up to 20 feet long and weigh up to 1,000 pounds and their average life span is 20 to 30 years, but scientists have found some to live beyond age 50. The world record for the great hammerhead caught with rod and reel is 1280 lbs and 14 ½ feet, although there are other reports of larger sharks being pulled out of these Florida waters. 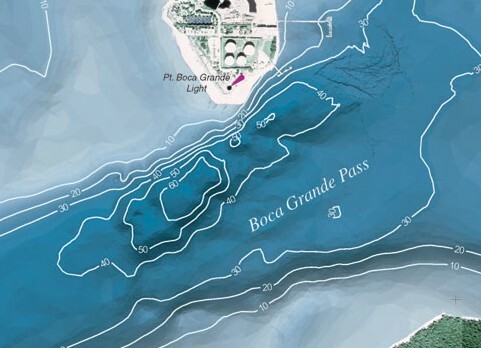 Boca Grande Pass is located at the south end of Gasparilla Island and it is the deepest natural inlet on the Gulf of Mexico, reaching depths to approximately 80 feet. Aside from already being the deepest inlet on the Gulf, the Pass has some interesting geography including the Lighthouse Hole and the Coast Guard Hole. There are also supposed to be numerous ledges that undercut the rock and provide shelter and hiding spots. The hammerheads pour into the Pass starting in April chasing their favorite meal and fishing’s favorite prize, the Atlantic tarpon (Megalops atlanticus). Tens of thousands of tarpon congregate in the area from April through August, feeding day and night, as they prepare to spawn offshore. Boca Grande Pass attracts the tarpon due to the abundance of food and available cover, and they crowd into the deep holes in the pass by the hundreds. The giant schools of tarpon then attract an even bigger predator, hammerhead sharks. As anybody fishing for tarpon in Boca Grande Pass will attest, hammerheads love to steal tarpon from the anglers. More Old Hitler after the jump! 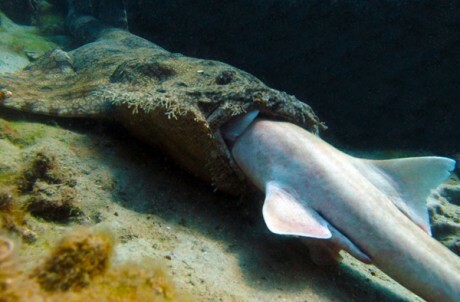 We now know when sharks are most likely to tear us apart. 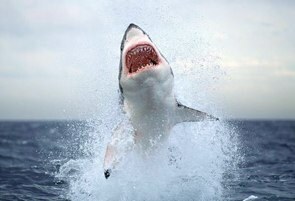 Shark attacks are most likely to occur on Sunday in less than 6 feet of water during a new moon, a new study finds. And there’s good reason: That’s when a lot of surfers are in the water. Not coincidentally, surfers wearing black-and-white suits are most likely to be attacked. Saturdays come in second place, and Fridays make a pretty good showing too, “reflective of people skipping work and taking three-day weekends,” explained George Burgess, director of the International Shark Attack File at the University of Florida. The scribbling you hear is the frantic rerouting of my cousin’s Sunday moonlight water wedding under a new moon. What’s worse than a brutal killing machine with no remorse? An invisible brutal killing machine with no remorse. 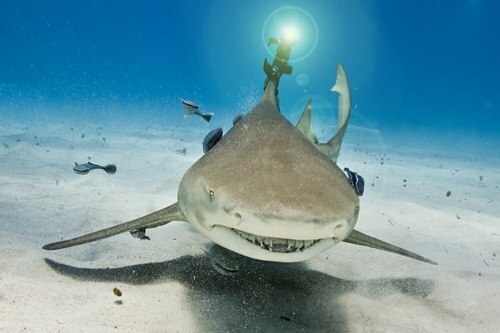 A new study claims that ten percent off all sharks are “luminous,” meaning they produce a light which combined with normal water refraction allows them to appear invisible. 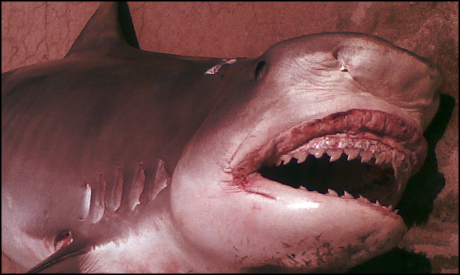 Now the inevitable death suffered by loopy drunk hoes in the first five minutes of Jaws can be achieved with heretofore unknowable stealth. 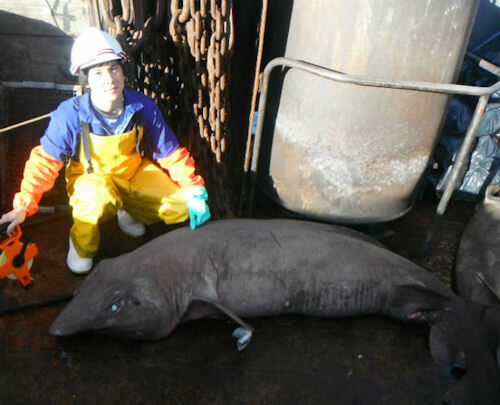 This shark’s shimmer originates from light emitting organs called photophores from underneath its body, “effectively creating a glow from that region,” said Claes, a researcher in the Laboratory of Marine Biology, Earth and Life Institute at the Catholic University of Louvain. 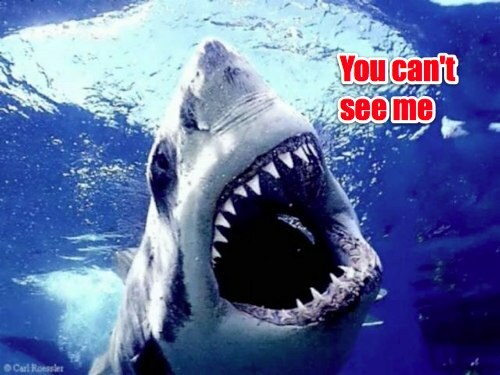 “Since many predators have upward-looking eyes, it is a common method of camouflage in the mesopelagic zone (from 656 to 3,281 feet below the surface), although it is the first time it is demonstrated in sharks,” he added. Curious to know what folks in regions where these sharks prey thought has happening to hapless halved swimmers who would wash ashore. 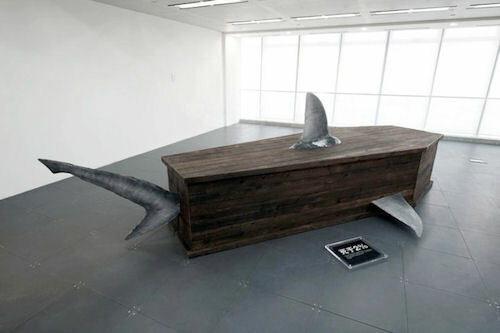 You are currently browsing the archives for the Sharks category.